MBMS is fortunate to have many volunteers helping in so many capacities. 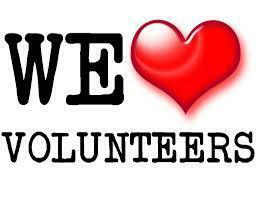 Periodically, we will spotlight the many volunteers that make this a wonderful community. Thank you to Antonia Carpenter, Kim Howe, and Geraldine Pepemehmetoglu! Antonia, Kim, and Geraldine have championed Young at Art’s continuation at MBMS. They have been flexible with adjustments to the program and worked tirelessly to better serve the middle school community. Lack of docents brought many challenges, but their passion for bringing as much art as possible to our students, along with their tremendous efforts, have kept the program strong at MBMS. Together, they continued the new tradition of Family Art Night, expanding it to 2 events this year - one Fall and one Spring. Thank you for your dedication to our students and MBMS!